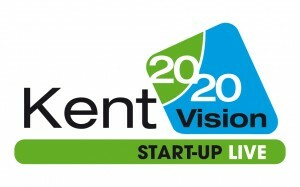 Kent 2020 Vision START-UP LIVE is pleased to announce that Paul Carter, leader of Kent County Council, will open the event on 24th October 2012, at the Kent Event Centre in Detling. Cllr Carter is an experienced serial entrepreneur, having set up many new businesses mainly allied to the construction and property industry. All have traded highly successfully. In addition to opening the event, Paul will also be part of a panel of experienced entrepreneurs, giving delegates the chance to ask questions about the challenges they faced, the decisions they made and the valuable lessons they learned as they started their business journey. Kent 2020 Vision START-UP LIVE event is designed to assist anyone who has started a business, or is planning to start a business, to gain invaluable advice and access to the largest collection of relevant supplies in the South East. In addition, one lucky attendee will win a unique package of services worth over £5,000.